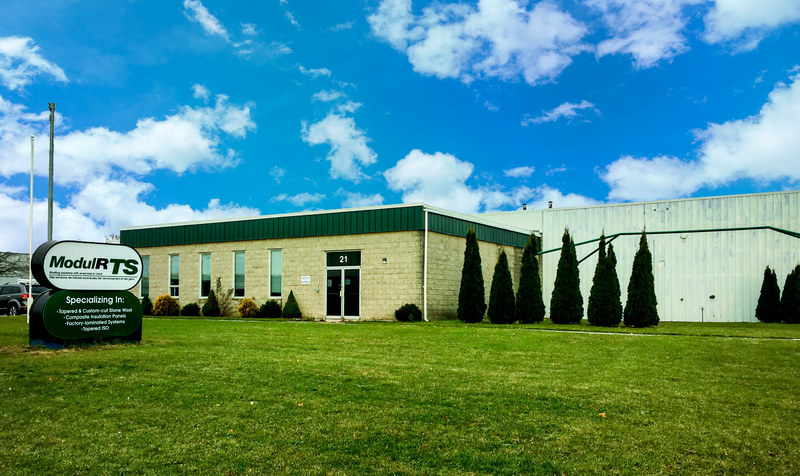 Drummondville, December 4, 2017 – SOPREMA, a leading manufacturer of waterproofing, insulation, soundproofing and vegetated products for the roofing, building envelope and civil engineering sectors, announces the acquisition of ModulR TS, a company specialized in the development of factory prelaminated roof insulation, with its head office located in Cocagne, New Brunswick. – Richard Voyer, Vice-President and CEO of SOPREMA – North America. – Éric Dallaire, General Manager of ModulR TS. A client of ModulR TS since 2002, SOPREMA has extensive expertise in the development and distribution of factory-laminated panels. In 2017, the company began marketing 3-in-1 factory laminated panels that combine the insulation, support panel and bitumen membrane into a single product. In addition, SOPREMA has expanded its know-how in recent years by distributing and producing various insulation technologies such as polyisocyanurate. The company also has an in-house slope design service. The acquisition of ModulR TS is therefore part of a diversification vision. It should also be mentioned that the two companies share a similar vision and way of doing things. Although ModulR TS is now part of the SOPREMA Group, both companies will continue to operate as usual for their customers and the markets they serve. There will be no change to the current corporate structure. You have questions about our products, systems or services?